220-240V supply. Complete with 150cm hose, 3 x plastic suction tubes, large floor nozzle, crevice tool, foam filters for wet cleaning, fabric filters for dry cleaning and a filter bag. 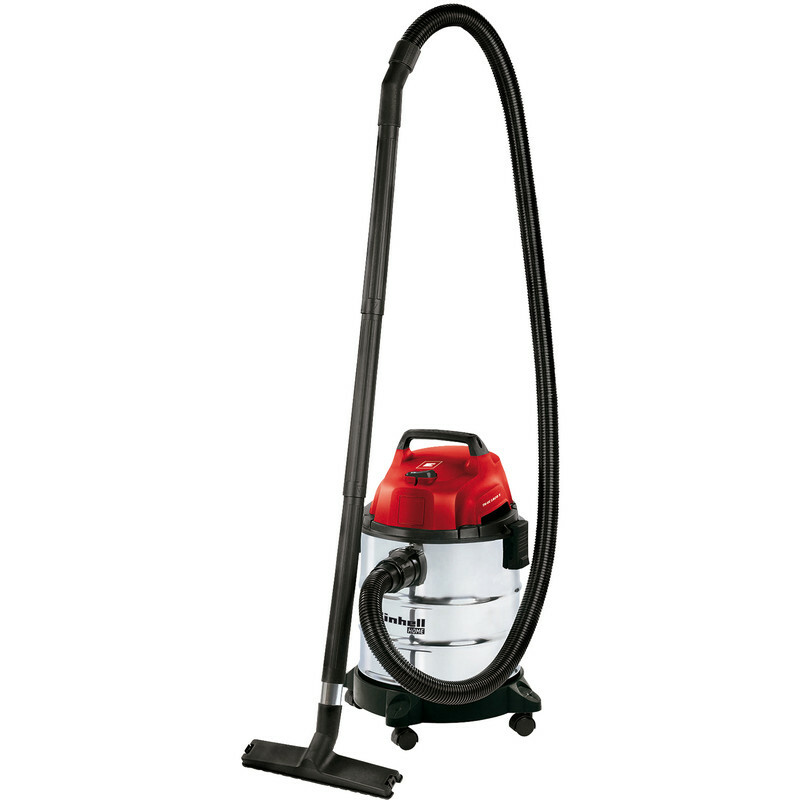 Einhell TC VC1820S 20L Wet & Dry Vacuum Cleaner 230V is rated 4.8 out of 5 by 4. Rated 4 out of 5 by KKTB from Good but no English user manual Spent ages searching the internet for a user manual in English. Although most of the photos in the foreign manual supplied were self explanatory, the instructions on how to set up for Wet, and for Dry vacuuming weren't. However, eventually found a youtube video in Russian showing you that you remove blue bag that's factory fitted with black sponge-like collar. So a visual video sorted it albeit in foreign language. Anyway I used the wet vac for draining some copper pipes that needed extending and soldering and it worked a treat, so would recommend for that job. Not yet used it on dry setting so can't comment on that. All in all I would recommend this vac but Einhell if your selling your products in the UK I expect as a minimum the instructions to be in English. Rated 5 out of 5 by Diysteve from Much better than expected for the price Having almost wrecked the SEBO cleaning out the car on a gravel drive several times, I decided to buy our first wet/dry non upright cleaner. It has been stolen by the Mrs as it easy to use, has good suction and is much lighter than we expected. The tools store on the top, it clears up the dust quickly from my carpentry and other diy jobs. Quite noisy in use. Well worth the money. Rated 5 out of 5 by Arlunio from Cleans very well No more worries about breaking our domestic vacuum cleaner when cleaning up after DIY or dusty building work. Rated 5 out of 5 by Del 63 from Great cleaner Brought to unblock out side drain, excellent job, so happy.